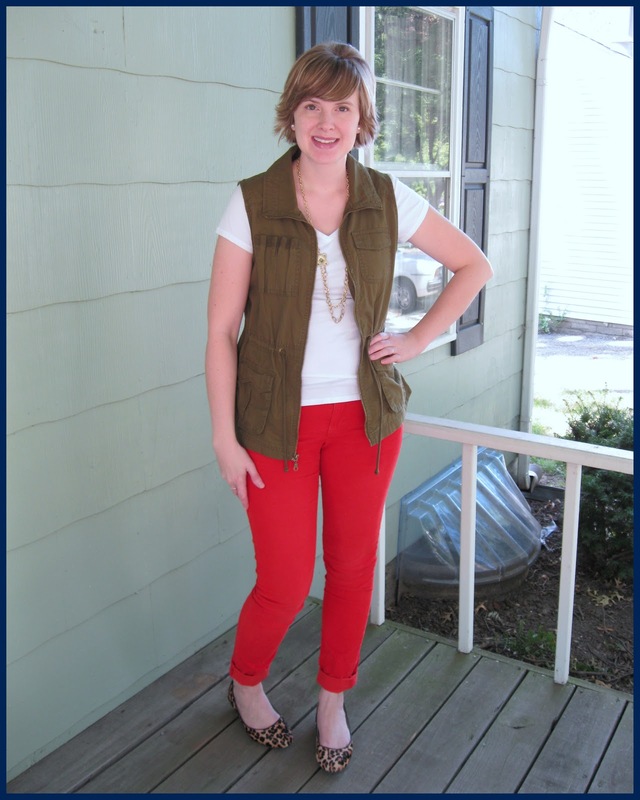 La mode: Happy colored pants day! What, you didn’t know it was colored pants day? Well grab some brightly-hued bottoms (no, not those bottoms) and join the party! 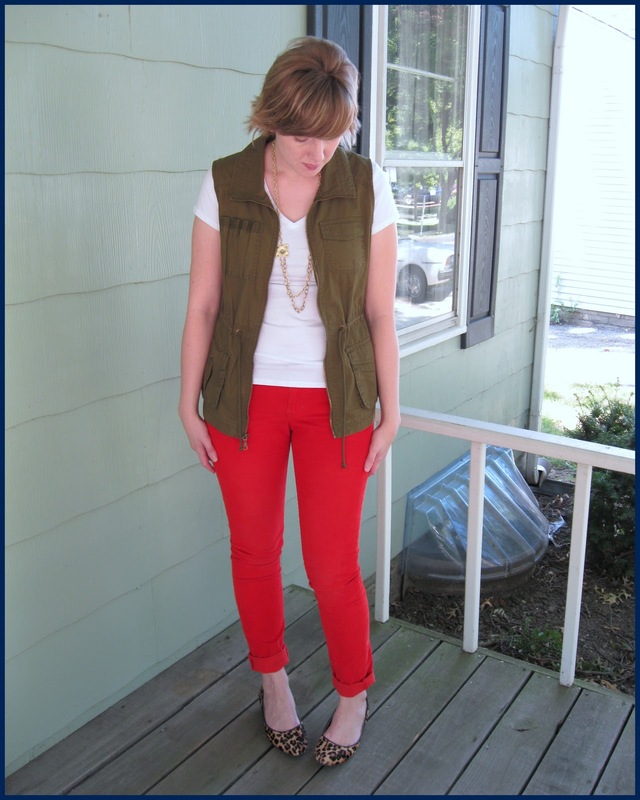 I’m wearing my favorite red pair with this vest I scored at Old Navy a couple weekends ago. 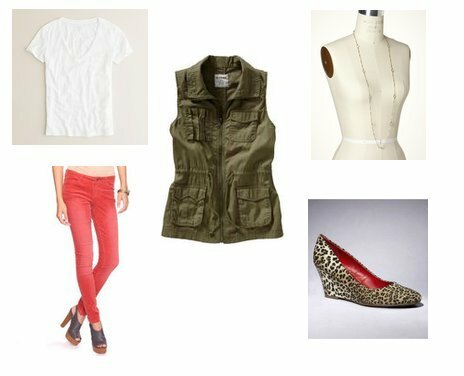 With a plain white tee under the vest, I felt like this outfit needed a few feminine touches, like my pretty gold necklace and leopard wedges. Do you own any colored pants? What are you waiting for? Join the party at Everybody, Everywear. You're throwing a pants party, and everyone is invited. I LOVE IT. P.S. Your pants are hot. I would definitely attend this party.